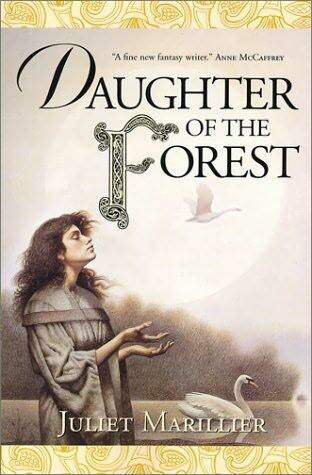 Like the first book of this trilogy, Daughter of the Forest, Son of the Shadows is long and begins slowly, but gradually becomes “unputdownable”. I would catch Mother sometimes, looking at Niamh and looking at Sean and looking at me, and I knew what was troubling her. Sooner or later, the Fair Folk would decide it was time. Time to meddle in our lives again, time to pick up the half-finished tapestry and weave a few more twisted patterns in it. Which would they choose? 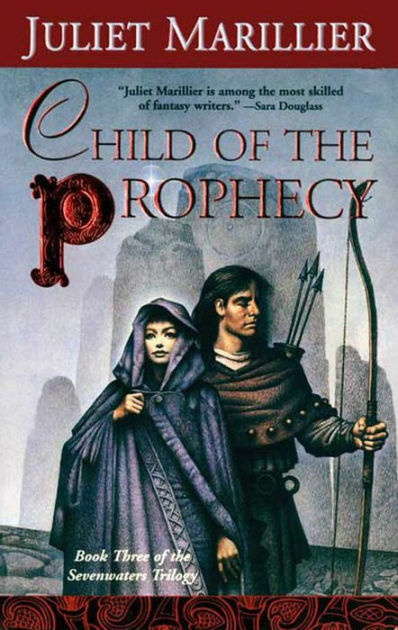 Was one of us the child of the prophecy? It is, of course, Liadan they choose, the Fair Folk, the mysterious Lady in blue and the Lord with flaming hair but they show no sympathy with her sister in her sufferings and nor do they approve of Liadan’s love, so Liadan rejects their advice and warnings and orders and all their scheming, and turns instead to the Old Ones, the older folk, the voices in the burial mound, once banished by the incoming Fair Folk. After all, one of her ancestors, Eithne, was of the older folk, the Fomhoire, and it is from them that they (some of them, Sorcha and Liadan, at least) get “the Sight, the healing mind“. And like the first one, it is a great love-story, with a girl touched by magic as the long-suffering heroine who never gives up. If you enjoyed Daughter of the Forest, don’t miss this. 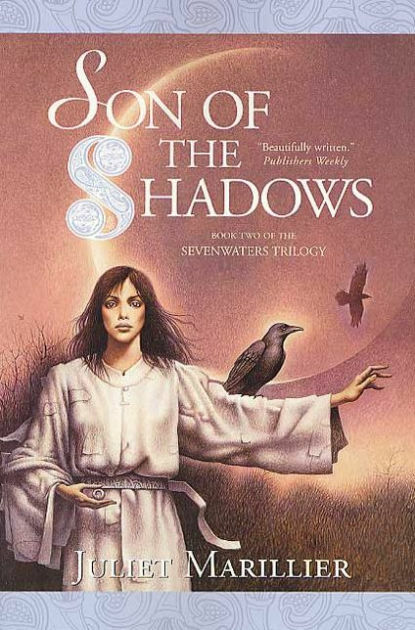 Like Son of the Shadows, this third book in the trilogy does not stand alone, and should not be read unless or until you have read the first two. And it is very much the same as them. When it opens, Fainne, the daughter of Niamh of Sevenwaters and Ciarán the sorcerer, is living with her father in a home among the caves in a cliff on the remote south-west coast of Ireland. Niamh died when she was small, and she does not remember her at all. All Fainne knows in the life she shares with her father, an intensely serious and reserved man, as he trains her in the arts of sorcery – and a few days each summer when the travelling folk come and among them her only friend, the boy Darragh, who loves horses and plays the pipes and is a wonderful swimmer. It is Fainne’s story, and like Sorcha in the first book and Liadan in the second, she has a task to fulfill which is nigh on impossible and can only be accomplished in the greatest secrecy with everyone believing the worst of her. Enough to say that Lady Oonagh, the evil sorceress (who is of course Ciarán’s mother and Fainne’s grandmother), sets out to complete the destruction of Fainne’s mother’s family, using Fainne as her brainwashed and helpless tool. The surface was bronze, polished to a bright reflective sheen. Our images showed side by side; the same face with subtle alterations. The dark red curls; the fierce eyes, dark as ripe berries; the pale unfreckled skin. My father’s countenance was handsome enough, I thought, if somewhat forbidding in expression. Mine was a child’s, unformed, plain, a little pudding of a face. I scowled at my reflection, and glanced back at my father in the mirror. I sucked in my breath. My father’s face was changing. The nose grew hooked, the deep red hair frosted with white, the skin wrinkled and blotched like an ancient apple left too long in store. I stared, aghast. He raised a hand. It was an old man’s hand, gnarled and knotted, with nails like the claws of some feral creature. I could not tear my eyes away from the mirrored image. ‘Now look at me,’ he said quietly. Like the first two books, it starts so slowly you don’t know how you’re going to keep reading it, but then suddenly you don’t know how you will ever be able to stop reading it, how you are going to be able to live in a world other than this one, a world without these people. When the story opens, six brothers and their sister, Sorcha, are growing up in the heart of a great forest in an Ireland in which, it seems, druids still reign in an uneasy truce with the Church. They have no mother, for she died in childbirth when Sorcha, the youngest, was born. And little in the way of a father either, for Lord Colum has no time for them or indeed for anything but his unending battle against the Britons across the sea. The girl, brought up by her brothers, is strange and wild, and – like the forest around her – is touched by magic. As are at least two of her brothers, Conor and, most especially, Finbar, the one she is closest to. But there is also a priest, Father Brien, who fortunately takes a hand in their upbringing and education. He is an old friend of their father’s and sometimes speaks of Lord Colum as he once was. ‘What did you mean,’ I said, still thinking hard, ‘about our father being the one and giving it up?’ For I could not imagine Father, with his tight, closed expression and his obsession with war, as the conduit of any kind of spiritual message. Surely that was wrong. Both Sorcha and Finbar will one day know such a love, to their cost. 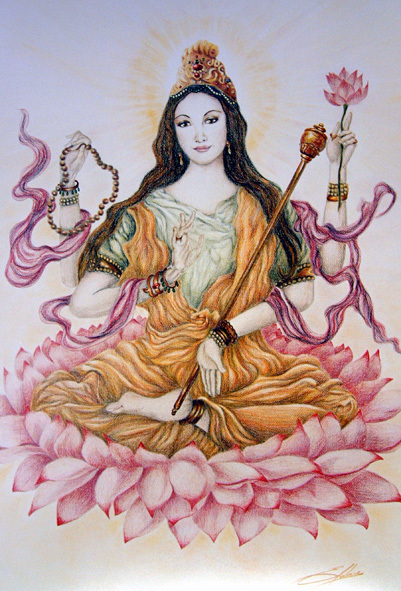 For the moment, however, all is in order – until two events occur which change everything. The first is the capture of a young British warrior. He is tortured by Sorcha’s father and his men and her two eldest brothers, intent on gaining information from him, and afterwards is reported to be dying. Conor and Finbar engineer his escape, while Sorcha, who is growing up to be the herbalist and healer of the clan, is deputed to nurse him – though this is not without misunderstanding and difficulty. ‘He’s sick,’ I said. ‘He’s scared. And I’m here to help him. Besides, I was told …’ I broke off. ‘Who told you this, Sorcha?’ asked Father Brien, gently. They were both staring at me intently now. I chose my words with care. The second event is their father’s decision to remarry. Lady Oonagh is the wicked stepmother to end all wicked stepmothers, a witch quite powerful and evil enough in her own right to take on the seven stepchildren without a qualm and, when they prove difficult, to place the six brothers under a shape-shifting spell that only Sorcha can lift. If she fails, they will be lost forever. The rest is the story of Sorcha’s long, lonely struggle to save them, to set everything to rights again, and restore the lost world of her childhood. She travels to Britain, where Ethelwulf has just come to the throne (the only clue the author gives us as to the exact date – Ethelwulf was the father of Alfred the Great and reigned from 839 to 857 or 8) and they are more concerned with the Danes than with the Irish. And though in the end she triumphs over evil, the world of her childhood is no more. Magic pervades this book, and always on the fringe of the story – to some extent guiding events, pulling the strings – are “the Fair Folk”, fading in and out of sight among the trees. But it is more than a fairy tale – an outstanding one – and more than a great adventure; it is one of the best love stories I have ever read.